Before I even left the country, trouble ensued. My mother and I were driving from our home in Grand Rapids to the Chicago O’Hare airport so I could catch my first flight to get to Oman. Our drive began easily enough, but trust Michigan to throw a weather curveball when you most expect it, and least need it! We hit a wall of freezing rain and were stuck in traffic for roughly 90 minutes. Needless to say, I was not going to make my flight. 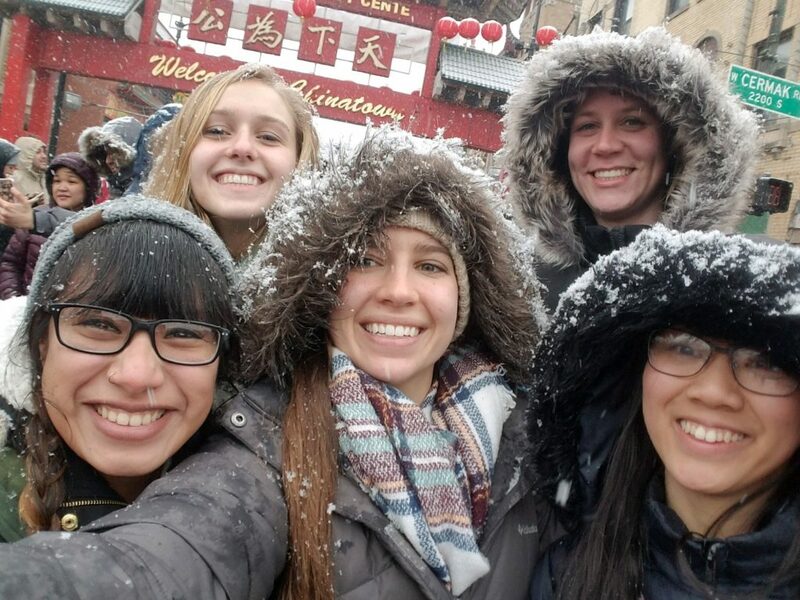 Fortunately for me, the other student from Calvin had her GR to Chicago flight canceled, and the remaining four students from Northwestern college were also stranded. What had been a simple, interstate journey for all of us had developed to a full-blown winter disaster! A day after we had initially planned, we were finally all in the Chicago airport ready for our semester together. The previous day’s weather may have thrown a wrench in our plans, but as I sat with my new classmates, housemates, and hopefully friends, I could tell that the delays had done nothing to our spirits! We were finally embarking on our three-month adventure together! Our journey from then on was smooth and stress-free. We arrived in Oman safely, and effortlessly (at least as effortless as customs and immigration can get). We were greeted and picked up by our program director Justin, and our program coordinators Lauren and Matias. Only at that point did it really start to click for me that I was actually in a different country and a completely different culture, and I was here for a while. However, pretty soon, that feeling of realization began to wear off. The new sounds, smells, and sights were so intriguing and different that it felt like a dream! We finally arrived at the AL Amana center; our new home, classroom, and community space for the next few months. It was all so surreal. I was actually in Oman! Justin had a “quick” debriefing for the night (it lasted about an hour and a half), and sent us on our way to bed. We were all so excited and confused and overwhelmed that we didn’t even realize that the time was 2 AM when our meeting was over. Needless to say, we all went straight to bed; my roommate and I took quick, much-needed showers first. Despite the rocky start, it became clear that this semester was going to be a good one! My sister and I were talking on the phone, about a week ago, when this question came up. Upon her asking, I was slightly stunned, why would I not feel safe? She then proceeded to forward me an email that she’d received from the United States Embassy which, sure enough, showed that the travel advisory for France was raised from level 1 to level 2 telling people to exercise caution due to “terrorism” and “civil unrest.” After reading the full article, I was still shocked. I couldn’t imagine being scared of going to the places I’d frequented for the last three months just because of some travel advisory. In order to talk my sister off the ledge, I explained to her that I don’t feel afraid, regardless of what the U.S. Embassy says. For the last three months, I have been living in a city that is a hub for Gilets Jaunes (Yellow Vest) protests that have been frequently dubbed “violent” because of the actions of certain casseurs (people who break things) in their midsts. The 18th Saturday of the Gilets Jaunes movement was by far the most violent, at least in Paris. They marched from the Arc de Triomphe down the Champs-Elysées, a street that boasts famous luxury brands such as Louis Vuitton and Cartier. The boulevard epitomizes the system which the Gilets Jaunes have felt has suppressed them: capitalism. I walked on that street the very next day and was shocked to find windows completely shattered and the awning of one of the fanciest, most expensive restaurants in Paris, Fouquet’s, victim of a fire started by these casseurs. At the same time, I’ve had very different experiences with the Gilets Jaunes. I remember one Saturday I was out shopping with some friends and I’d just said goodbye to them to head back home by way of the metro. Just next to the metro entrance, the street was completely packed with a parade of Gilets Jaunes, shouting and singing, but not breaking anything. In order to get to the metro, I had to go through them. Carefully, I joined in with the group and slipped out on the other side of the road unharmed. No one wanted to hurt someone who was passing by because those are not the people that the Gilets Jaunes want to express their frustrations with. While similar situations have occurred multiple times for me, I know some people who haven’t been as lucky with their Gilets Jaunes experiences. A group of students my age were leaving a store when they found themselves in between the police and the Gilets Jaunes. They got sprayed with tear gas! Unfortunately, there are run-ins like this between police and Gilets Jaunes fairly frequently and I’ve almost had the same thing happen to me. One day after class, I wanted to go buy a crepe by the Seine because that’s where you can find them fresh and extremely cheap. I took the metro to Place de la Concorde which is right next to where I’d previously seen these crepe stands. A little bit of background, Place de la Concorde is well-known because it was where thousands of people were guillotined during the French Revolution, and has since been a popular place for other protests due to its historical relevance. When I got up the stairs out of the metro, I was met with the sight of Gilets Jaunes on my left and the Gendarmerie (the French riot police) on my right. I stopped in my tracks and considered: was the crepe worth it? That question was answered fairly quickly as I saw some casseurs already starting to pick fights. I immediately retreated into the metro, the crepe completely forgotten. A woman passed me as I headed back in and she asked me if where I was coming from was an exit. I told her yes, but that I wouldn’t recommend it because there was a confrontation happening there. This is the advice that I would give to everyone who asks me about the Gilets Jaunes: don’t go looking for them, and when something doesn’t feel right or when you see them and the police together, avoid them at all costs. For my friends that got tear gassed, it is unfortunate that that happened to them. However, part of staying safe is being smart about where you go and being flexible with your schedule. If I were in the same situation as my friends, instead of leaving the store, I would have stayed inside and waited until the coast was clear because safety is much more important. I think that explains pretty well the part of the warning about “civil unrest” and now for the “terrorism” aspect. The Monday after the Gilets Jaunes’ most violent weekend, I was eating breakfast and listening to the radio with my host mom, Katherine. The radio hosts were discussing new measures that would be taken in order to combat the violent activities of some Gilets Jaunes. They explained that after all of the vandalism committed by certain casseurs, the French government would be releasing the national army to protect national monuments. What they said next I didn’t quite understand so Katherine helped better explain it. She told me that when someone commits an act such as vandalizing a national monument in France, they are no longer a criminal, they are considered a terrorist. This is where I think something has been lost in translation. Over the past months that I have been here, I have heard nothing about any terrorist groups plotting any attacks in Paris from any of the media outlets that I have been following. I was quite shocked when I heard that terrorism was one of the factors cited by the U.S. Embassy for raising this advisory. This isn’t to say that there is no possibility of some kind of attack being plotted against Paris, it’s just to say that I haven’t heard or read anything about it. That being said, this “terrorism” that the U.S. Embassy has discussed is possibly linked more with a situation that has been misinterpreted or that they have intelligence that has not been released to the general public. If, in fact, there were to be some type of extreme danger in Paris, similar to the attacks of November 13, 2015, quite frankly, I would be scared. And, I came to France knowing that that event took place in the city that I would be moving to. However, I am also from a country that has been the setting of various acts of terrorism and I’m not afraid to live there, so why should I be afraid to live here? In fact, I believe that at one point other countries had placed high travel advisories on travel to the United States due to our policies on guns. In short, yes, I do feel safe in France as I know that I’m at just as high a risk of becoming a victim of violence here or anywhere else in the world. I won’t spend my time worrying about the possibility of being attacked when I could be out exploring the beautiful country I’m in. Life is too short to live in fear of the “what-ifs”. So now that I’ve talked about the biggest concerns that people have about the safety of France as a whole, I’ll cover some more frequent causes for worry for those who plan to visit, or know someone visiting Paris. When I originally told people that I was going to study in Paris, one of the first questions to come up was “oh, but what if you get pickpocketed?” and then they would proceed to tell me some story about their second cousin’s spouse who got robbed on the streets of Paris. I’ll be frank with this one: I have never *knock on wood* been pickpocketed; I’ll explain how while we talk about why certain people get targeted more commonly by pickpocketers than others. There’s a couple speaking loudly in a language that is not French in the metro. They are in their sixties wearing backpacks on their fronts and looking at their handy-dandy pocket map of Paris. As they filter out of the train and up the stairs to street level, a young man trips on the stairs in front of them. While the nice couple is helping this young guy up, another person comes and snatches the older man’s wallet from his pocket. It isn’t until five minutes later that the man reaches into his pocket to find that his wallet is missing. This is one of the stories that I heard during my orientation here and it demonstrates exactly what not to do in Paris in order to not get pickpocketed. Quite likely, the primary factor that makes someone a target is how they dress. If you’re wearing a backpack on your chest you may as well have a massive neon flashing sign pointing to yourself with the word “TOURIST” written out on it. Literally, no Parisian person ever does this. And while you think you’re being smart about not letting someone open your backpack without you looking, really you’re just doing yourself a disservice by indicating to everyone who sees you that you do not live here and as such, you are vulnerable because you don’t know the local tricks that thieves use to rob you. Inversely, so many people come to Paris on vacation to enjoy all the amazing things that the city has to offer, one of the most popular being French fashion. I kid you not, I have seen people in head-to- toe couture with their designer handbags and thousands of dollars in jewelry. This is just as bad as tourist fashion. Basically, when people dress like this they are advertising to people that they are wealthy, and therefore make themselves targets for pickpockets. Essentially, a happy medium between American tourist and fashion blogger is the way to go because you can blend in, and ultimately avoid unwanted attention from thieves. Sometimes, blending in just doesn’t work out so here are a couple solutions to keep pickpockets at bay and protect yourself the best that you can. If you are really worried about someone taking something from your bag without your knowledge, keep valuables in zipped pockets, money belts, or in the innermost parts of your backpack. One word of caution about keeping valuables in bags is that it is not uncommon for people to cut open bags with knives. Please be cautious about what you choose to carry your belongings in. One of the girls I met during my study abroad orientation told me she didn’t want to wear a backpack so she got a sturdy shoulder bag that zips. She could blend in better with the French and keep an eye on her bag if she ever felt like she might be the target of pickpocketing. As someone who has been in Paris for over three months, I feel like I know how to blend in enough so as not to make myself a target. Even so, if it were to happen despite preventative measures, the best solution is to be as loud as possible and make a scene because that is the exact opposite of what thieves want. They will abandon ship as soon as you start to draw attention to the fact that they were trying to rob you, so it’s best not to be shy. I will admit that as a female in Paris, sometimes I do not feel incredibly safe. In discussing with lots of other women here, they all have really similar experiences. They’ve all had experiences in their day-to-day lives where certain men have made them feel really uncomfortable, to say the least. One of the teachers at CIEE, a parisienne through and through, spoke about getting in the metro and having men just stare at her, and not in a good way either. This is actually something that I’ve experienced quite frequently and it is incredibly uncomfortable. They just stare at you and when you make eye contact they don’t look away. I’ve never felt unsafe or threatened when this kind of situation has occurred because there are plenty of other people around, but really the only word I can use to describe it is unsettling. Aside from weird eye contact, there is also the matter of catcalling. Of all of my female friends that I’ve talked to, literally every one of them have been catcalled at least once since they’ve been in Paris. This is pretty generous of a statistic to give because it does happen quite frequently. However, this happens pretty much everywhere else in the world so unfortunately, as a woman, I just have to ignore it in the hopes that the man won’t continue. Lastly, walking alone at night. Paris is known as the City of Lights which is nice for us gals who are walking back home at night. Paris itself is really well-lit at night so it’s not like you are walking around in complete darkness! Whenever I have to walk in the dark, I don’t exactly feel scared doing so. It is so well-lit and there are usually always people out because it is such a touristy city. I wouldn’t say I necessarily recommend walking alone at night because I don’t, but I also won’t say that I feel afraid doing so. That being said, it’s also a good idea to consider asking a friend to walk with you to your neighborhood and definitely try to avoid distractions like using your phone or listening to music until you are safely inside. All in all, Paris is not a city to let your guard down in, but it also isn’t a place that should seem intimidating or scary. As long as you are well-informed and smart about what you do and where you go, it’s more than likely that you’ll have a safe and pleasant stay in Paris. 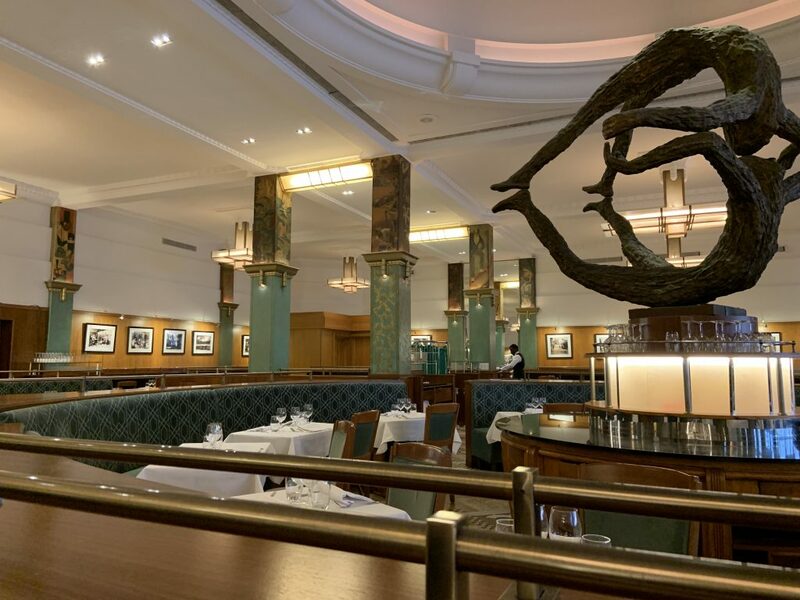 Posted on April 16, 2019 April 15, 2019 Author Emma DesLauriers-KnopCategories Academics, Culture, Daily Life, TravelLeave a comment on Do I feel safe in Paris? 1. I learned how to take a break: When I got to Paris I was overwhelmed with all of the things that I wanted to see and do. Up until I sprained my ankle, I was using all my spare time outside of class and on homework to cram everything into the short time that I’m here. The day after I sprained my ankle I spent the entire day in bed and it was so nice! Katherine gave me books on Paris that let me see all of the things that I hadn’t yet been able to see in person. I started reading Harry Potter in French, and spent some much needed time on Netflix. That’s not to say that that is what every day since then has been like, but it definitely showed me that I can still be enjoying my experience here without having to constantly be going somewhere to see something. 2. I learned to enjoy just walking without a destination: Running was my primary source of exercise when I came to France so I was really upset when, all of a sudden, I couldn’t do that anymore. So, I turned to walking. 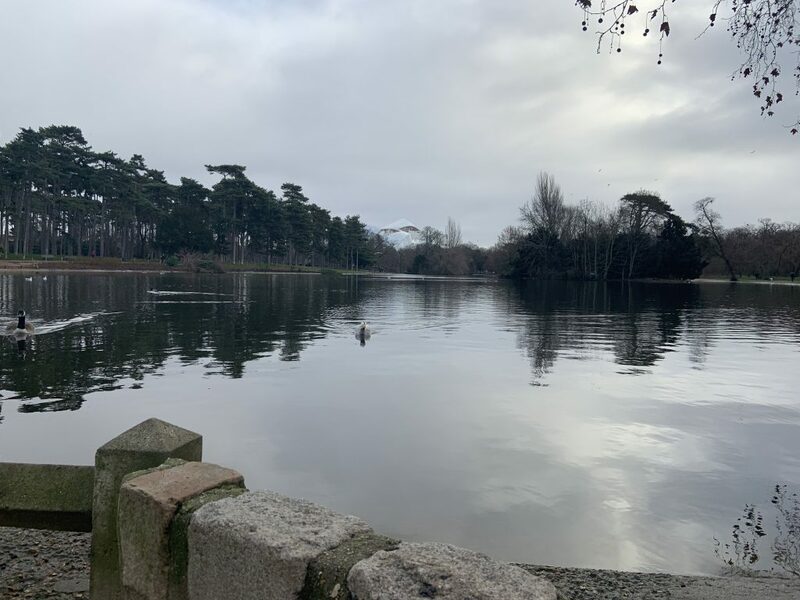 Instead of just walking around the Bois de Boulogne (I was overwhelmed with a feeling of betrayal from my accident), I opted to walk around and see the sights I hadn’t yet experienced in Paris. I used to be so focused on doing all the touristy spots. However, from just walking around I found so many cute places that, dare I say, are even better than some of the main attractions. 3. I learned that it’s okay to say no: A lot of my friends here really like to go out and explore whenever they have free time. I do too, but sometimes I really just want to be on my own and take things in at my own pace. My ankle gave me an excuse, but gradually I learned that I shouldn’t need one. You are 100% allowed to say no to your friends, and they will understand. Sometimes you just want to be by yourself to think and breathe and there is absolutely nothing wrong with that. 4. I learned SO MUCH FRENCH: Alright so this may be a bit of a strong statement, but right now I feel fairly confident in my language skills and really do feel like I’ve improved. Since I’ve had to spend a lot more time resting at home, I’ve passed a good portion of my time talking with my host mom, Katherine. Meals in France take a long time to make, especially if you have a host mom like mine who loves to talk; which is something I appreciate about her. Normally I would go running in the morning on weekends and would miss eating breakfast with Katherine. However, I couldn’t do that so we have pretty extensive breakfasts and conversations that last long after we’ve finished our bread and coffee. At the start of the semester, I mostly just let her talk because I didn’t understand everything and it was really hard to interject. Now it’s much more of an actual conversation. Mostly we talk about the news since we listen to that on the radio over breakfast, but she also tells me lots of stories from when she was my age. I tell her about my family back home and how things are different there from how they are here. 5. 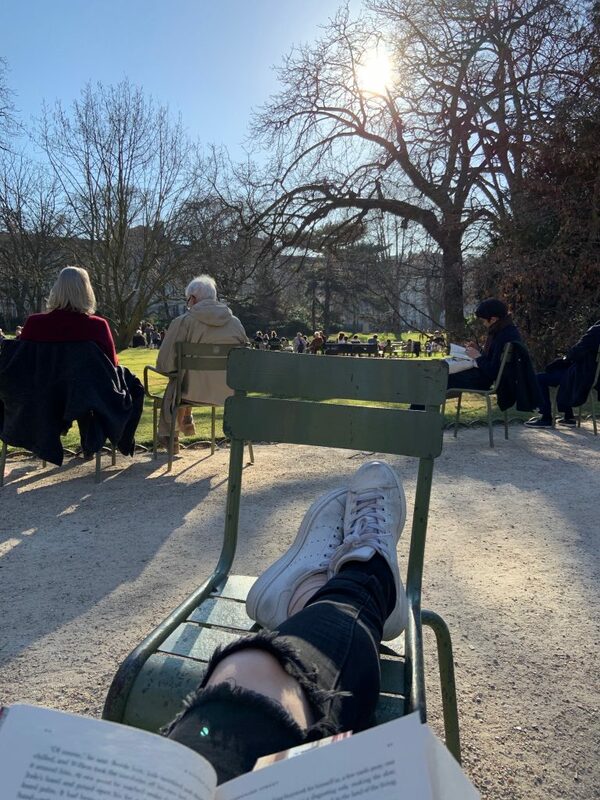 I learned to relax the way Parisians do: While walking I found my way into Jardin du Luxembourg, a massive park on the Left Bank with lots of trees and green space which is hard to come by in Paris. The day that I found it happened to be one of the first really beautiful spring days so, naturally, it was packed with people. Luckily I was able to find an empty lawn chair in the sun and sat there for a couple of hours, just reading my book and enjoying the fresh spring air. This last one reminded me of a conversation I had with my sister, who is also studying abroad this semester. She recounted a story of her sitting near a lake, just relaxing. The sun was shining brightly and the sky a perfectly clear blue. For just a moment when she closed her eyes she told me it felt as if she was back home. A second later she opened her eyes to remind herself that, in fact, she wasn’t anywhere near home. Looking back, I realize that I had the exact same feeling that day in the park and it was incredibly bittersweet. I miss home (a lot), but Paris is my home now, too. Even when I’m gone for just a weekend I find myself wanting to be back in this beautiful city. Right now my life is divided between Minnesota home, Hope home and Paris home, and running was my constant. It was my way of coping with homesickness and helped me feel a little more at ease with my environment. It was really difficult to suddenly not have that anymore. To be honest, I was really frustrated by what I couldn’t do, but somehow I found experiences that are even better. I’m not saying I’m glad that I messed up my ankle because it has definitely not been fun. Yet, I’m grateful for the new perspective it has given me. As blunt and exaggerated as it sounds, this past week was one of the coolest and most precious weeks of my life! My spring break was split into two parts and both equally memorable. 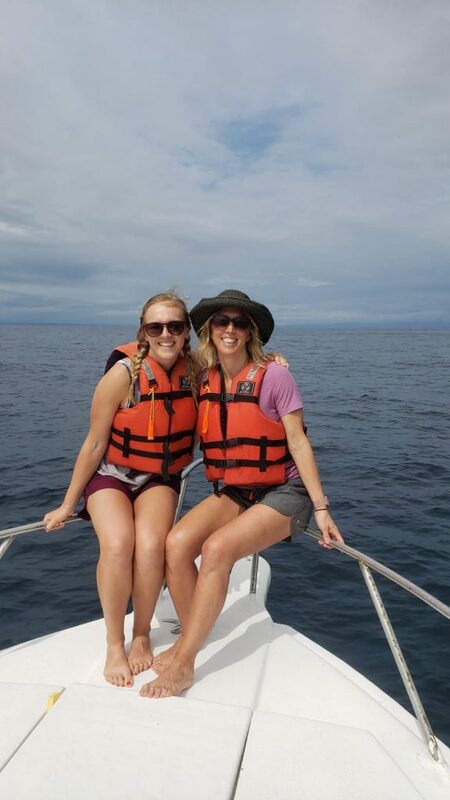 The first half of my spring break was spent with my Mom (I know I said that last post but it is a highlight for me), mostly in Puerto Lopez. 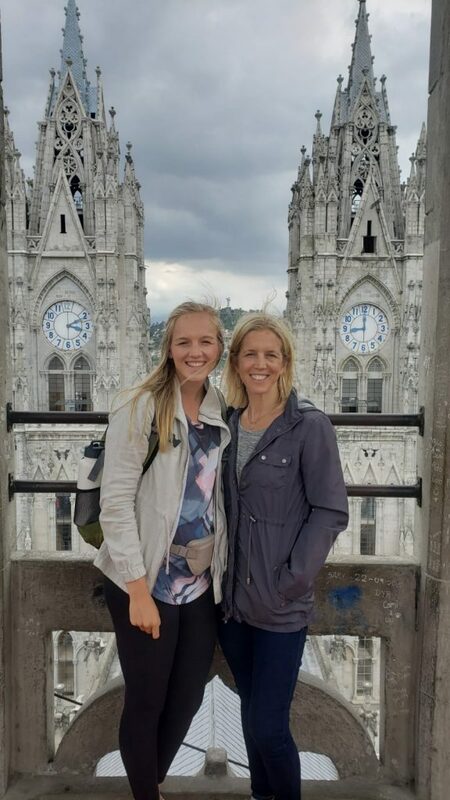 We spent a day touring Quito and I got to show my mom everything the locals showed me when I first arrived in the gorgeous Historic Center of Quito. From the 13,500 ft. city view to the ancient cathedrals, we loved and enjoyed the beautiful city buzz of Quito. 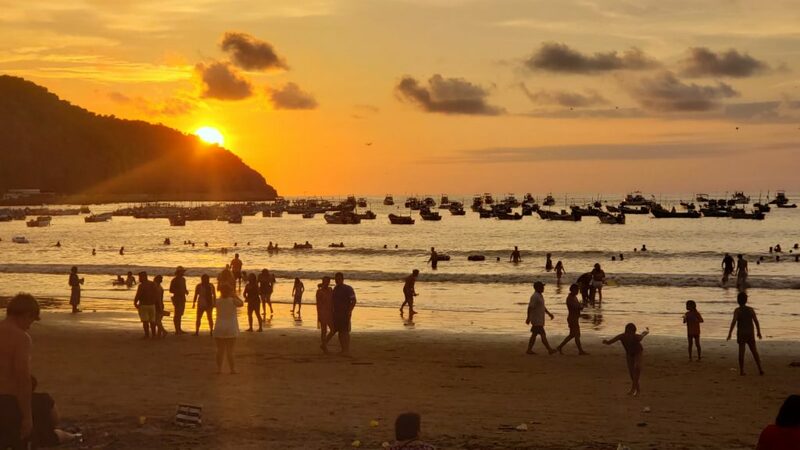 We then flew to the Pacific Coast of Ecuador to the small beach town of Puerto Lopez where we enjoyed a few relaxing days in hammocks overlooking the ocean. We stayed in a cute hotel where we slept with bug nets surrounding us in our own mini beach hut. We enjoyed beach walks, seafood, wildlife, game time, sunshine, and simply talking until we had to say goodbye at the airport a few days later. My heart felt so heavy with my mom leaving, knowing that my physical support was going to be gone again, but I was so overwhelmed with gratitude that she was able to come to spend that precious time with me. I know her heart broke as well because she is such a compassionate and empathetic mom, who didn’t want to leave her child again. 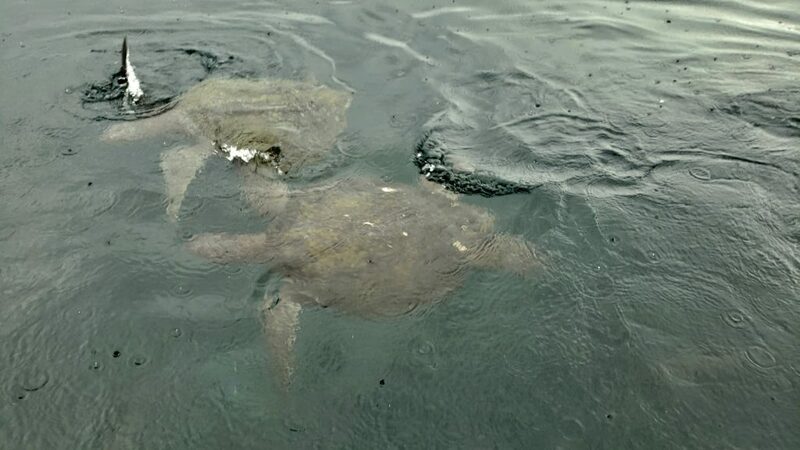 We saw all types of wild life– sharks, sea lions, sea turtles, fish, the ginormous land turtles, sting rays, eagle rays, iguanas, blue footed boobies, fragatas, and mocking birds. We were able to see these animals up close and in their natural habitats. We snorkeled in the bright turquoise water in the bays that entice wildlife and walked the white, powder beaches that look like the actual google images photos. 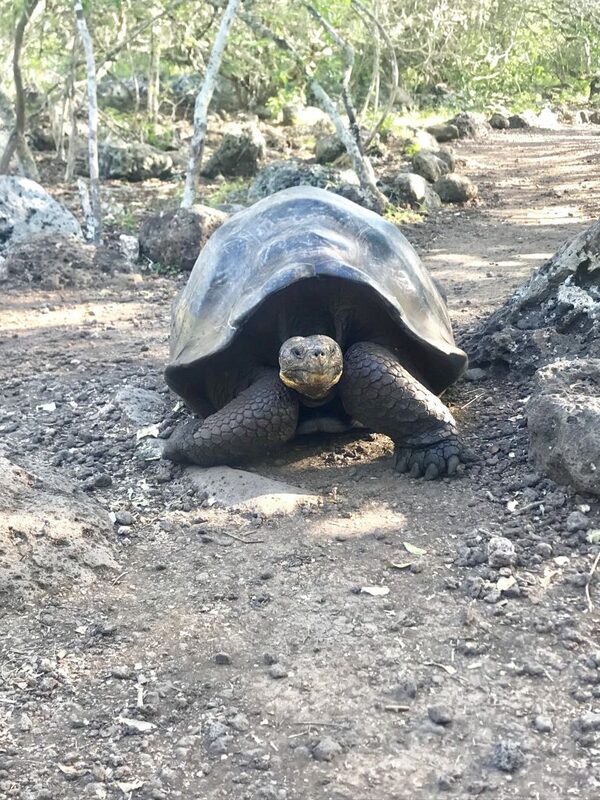 Our walks on the black volcanic rock provided no shade but unique experiences with the endemic wildlife of the Galapagos. (Yes, endemic is the one biology word I learned and understood while I was there haha). I am not sure if I’ll ever make it back to the Galapagos again, but I know there is so much more there to explore on the other islands that will be awaiting me! Getting back from the incredibly exhausting travel week Sunday night with school the next morning, isn’t my ideal way to jump into midterm exams, but the once-in-a-lifetime experiences were definitely worth it! To all my Hope friends and Michiganders struggling in the crazy weather that is changing daily, your break is coming so soon and I will soon be jealous of you :). Thank you everyone for your continued prayers and support as my journey continues to unfold! I am thankful for the week I had to break from academics. 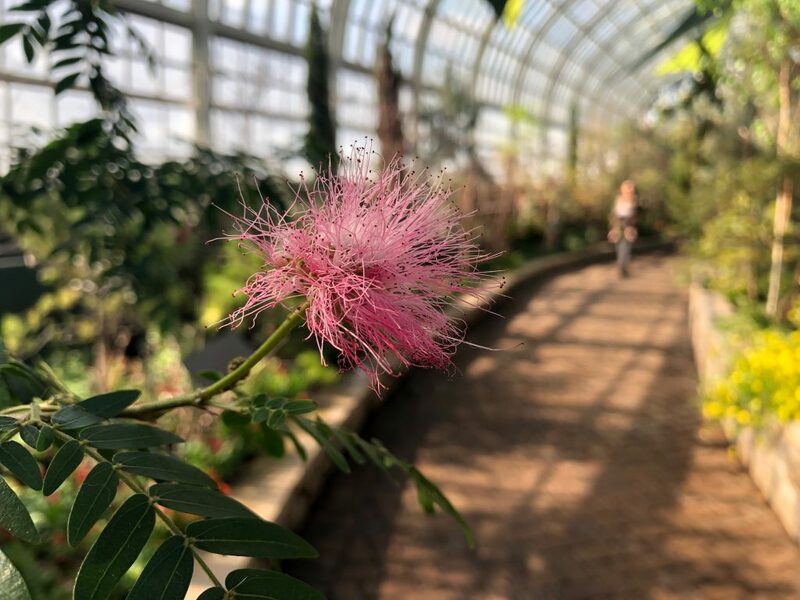 Posted on March 28, 2019 March 20, 2019 Author Morgan OverwegCategories TravelTags South America/EcuadorLeave a comment on Spring Break! I spent the weekend in Seville! CIEE organized a planned weekend trip to Seville, Spain. Sevilla is a part of the Andalusian region of Spain. It used to be populated by people mostly from the middle east and home to three of the country’s most practiced religions: Judaism, Christianity, and Islam. Today, you can see so many remnants of its past and the way in which those things are still a part of the culture today. For example, there used to be mostly Arabic speakers in this part of the country and that affected a lot of the town names, colloquial terms, and the accent. Andalucía was previously known as Al-Andalus to the former Arabic-speaking inhabitants. If you think is cool, you’re gonna flip when I tell you that I went to the royal palace of the famous Catholic King Ferdinand and Queen Isabella of Spain. Fun fact: it is still used as a palace for the Spanish monarchy when they make visits to this region. There’s a beautiful culture and history to unpack here in Andalusia and I’m going to tell you a little bit more about what I learned! One of the classes I’m taking this semester is Religion and Society and we focus on the three main religions of Spain. It’s such a great class because we are able to not only learn about the religions, but how they were created, intertwined with society, and understand more about their structure. Often, classes on religion can become more preachy than teachy; however, this class gives us actual accounts of the facts, beliefs, and societal perceptions over time. I love it! What makes it better is that over the weekend I was able to visit some of the sites we discussed. To give you a clearer picture, let’s talk about the royal palace in Seville. It is almost entirely decorated in Arabic script and constructed in Islamic style architecture. When you go deeper into the palace and its many salas you would be suddenly struck with byzantine Christian imagery. I’m talking about all the stuff that Muslims would avoid to remain their founding principal of equality. You will see paintings that reach all four corners of a wall adorned with golden elaborately designed frames. Angels, Jesus, saints — if it’s Christian, then it is present in any of the Christianized religious buildings. In class, I learned that this kind of complete take over and hierarchical power structure that we find in Christianity is deeply rooted in the political and societal structure of Ancient Rome. For me, it cleared up all the conflicting ideas that were present in Christianity. I could honestly write a whole blog on just how much I’ve learned about these 3 religions’ fundamental and structural makeup. I’ll leave you here this time and pick it up in a later blog. Now it’s story time! While in Cordoba and Sevilla, we visited some off site locations such as the medieval Jewish neighborhoods that once occupied so much of these cities. Upon walking away from the palace, we find ourselves in one of these beautiful and historical juderias (Jewish neighborhood). This isn’t any ordinary Jewish quarter because it is the actual location in which a story of star crossed lovers met their fate. I am really trying to make this interesting and suspenseful. Is it working? Okay, let’s keep going haha. There was a young Jewish girl and young Christian boy who shared a forbidden love for each other. One night, the young Jewish girl planned to meet her lover in the neighborhood square. She heard her father talking about planning an attack on the Christians who lived nearby. When the Christian boy got word of this, he decided to tell his comrades in order to prepare themselves for the events to take place that night. In the end, everyone is slain except the couple. It was such a deadly battle and it caused the Christian boy to want nothing to do with the young Jewish girl. She was then without parents, without a lover, and without any place to go. She goes to the church, and yes, I mean the catholic church, to ask for help. They tell her that they will help her, but only if she converts to Christianity and joins the convent as a nun. The young Jewish girl then lives the rest of her life as a Christian woman. Everything I’ve told you to this point is an actual account of history in this neighborhood that happened thousands of years ago, if I remember correctly, it happened in the 15th or 16th century. However, the legend goes on to say that before she died, she asked that her head be separated from her body and placed in her childhood home as a lesson to young Jewish children not to disobey their elder or betray their people. Although the story is unfortunate, it has been kept alive for generations and the legend has taken the shape of a narrow street and a tile decorated with a skull. The street of the dead who were killed that night of the battle and a skull to remember the “wishes” of the young Jewish girl. This was all told to me in Spanish by the way. It was pretty amazing to be in this spot in which it all took place so long ago. Then, as we exited, I began to admittedly critique the character of the young Christian boy who abandoned his star-crossed lover. Que tonto era! He was such a jerk! Before I get upset again about this 15th/16th century Justin Bieber wannabe…let’s just look at some pretty pictures in the video below haha. Following along the journey of a nursing student continues. 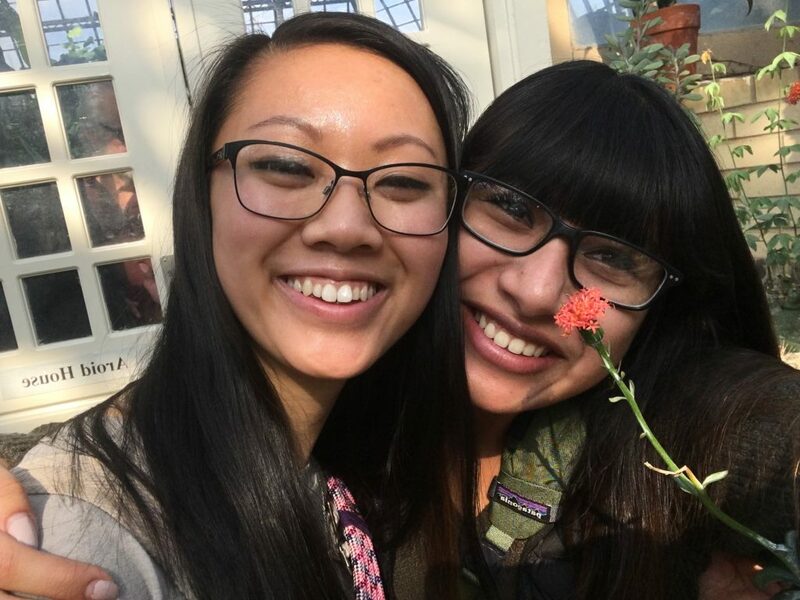 On today’s episode of Annie survives Chicago, we will see a short, Asian young lady attempting to blot away her worries with beautiful conservatories, visits by her best friend, lunar new year celebrations, and bubble tea. Don’t be fooled by her long work days; she continues to live her life to the fullest. All joking aside, the last few weeks have been an excellent balance between work, home duties, cooking (because food is paramount), and exploring new parts of the city. Although I feel like I will say that in every post, there truly is something new in the city every time I step foot out of my apartment. 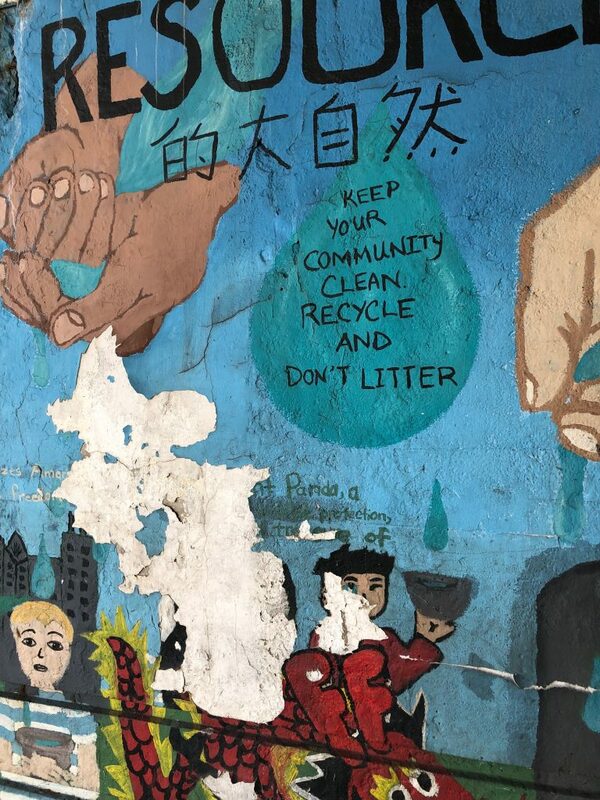 The streets are filled with evidence of rich culture and history of the city’s people. 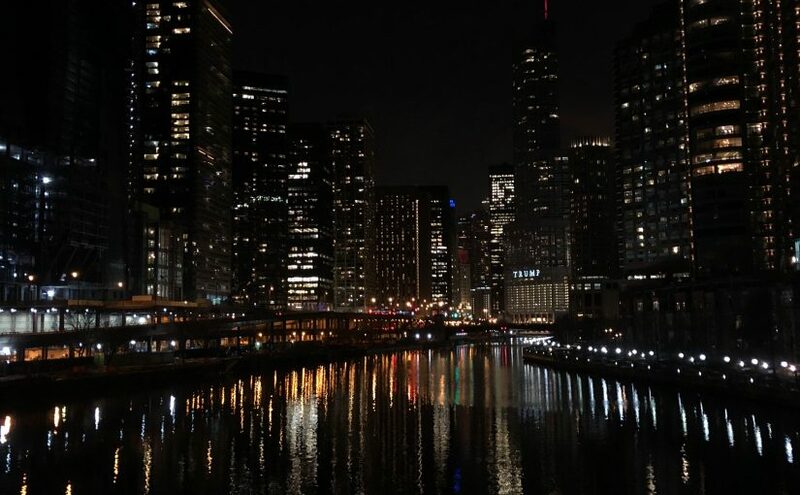 I cannot believe that Saturday marks six weeks since I’ve moved to Chicago. I’ve settled into my routine (and, of course, mixing it up every now and then) and continue to figure out the teeter-totter of balancing adult-like responsibilities while still adventuring in the city. When my friend visited from home, we had planned our entire weekend to the “t”. And, how fortunate was it that she came the weekend of National Pizza Day. 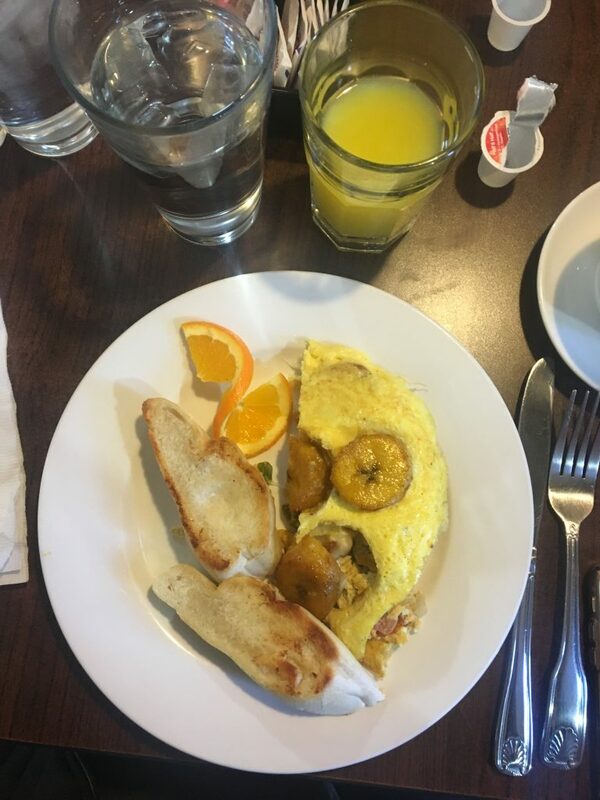 That Saturday, we went to a Puerto Rican restaurant called Nellie’s Restaurant and ate their breakfast special: omelet with chorizo and veggies topped with plantains, french white toast, and coconut oatmeal. All were delicious! 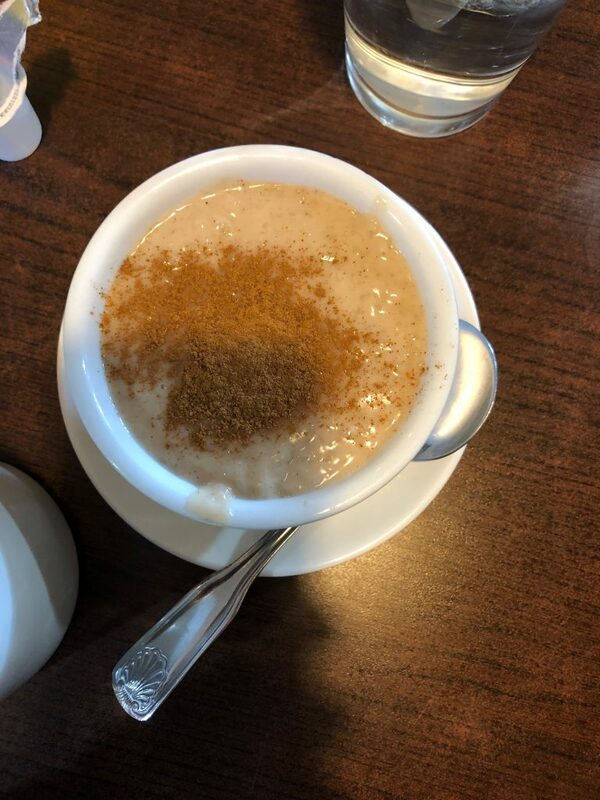 I was initially apprehensive about the coconut oatmeal, but it ended up tasting like cinnamon rice pudding. 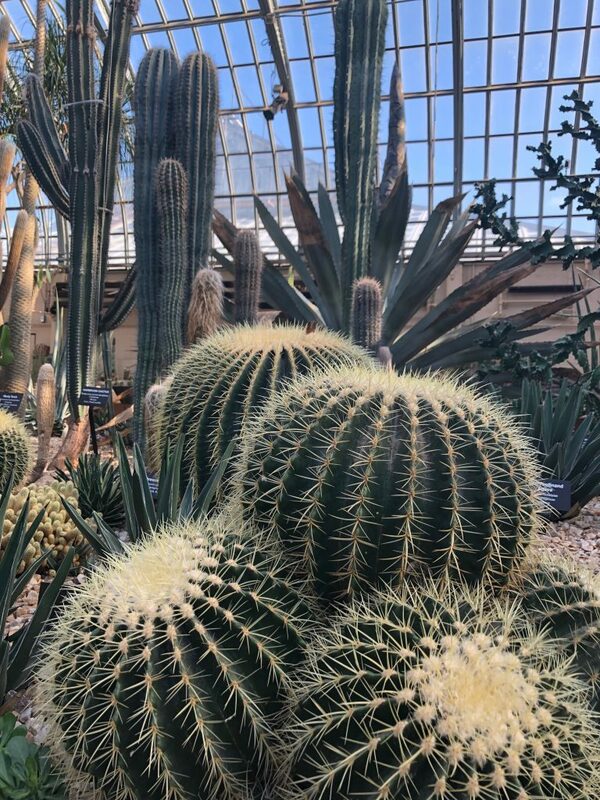 After we thoroughly stuffed our hungry (which quickly turned to not-so-hungry) stomachs, we scurried over to Garfield Park Conservatory. I can’t say much more about it other than it was breathtaking. I’ll just let the photos speak for themselves. Plants are pretty. The next day was filled with Chinese New Year celebrations! After church, we decided to grab lunch in Chinatown at a Cantonese restaurant. It’s pretty typical to order several entrees and the entire party share. The custom is fairly common in Asian countries. 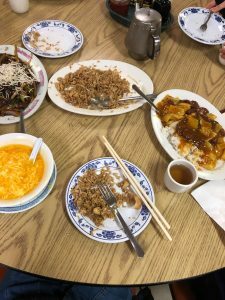 Among the entrees we ordered, there was egg drop soup, vegetarian egg rolls, Mongolian beef, curry chicken, orange chicken, and chicken fried rice. One of my (and everyone else in China’s) favorite part about the lunar new year is the red envelopes. If you don’t know what I’m referring to, red envelopes are what kids receive for Chinese New Year and have money inside (I’m sure you can now see why it’s everyone’s most anticipated part of the holiday). There was a parade, which we ended up missing because we thought it would last at least an hour. By the time we finished eating, the parade had just finished…so sad. We at least got to see the countdown. 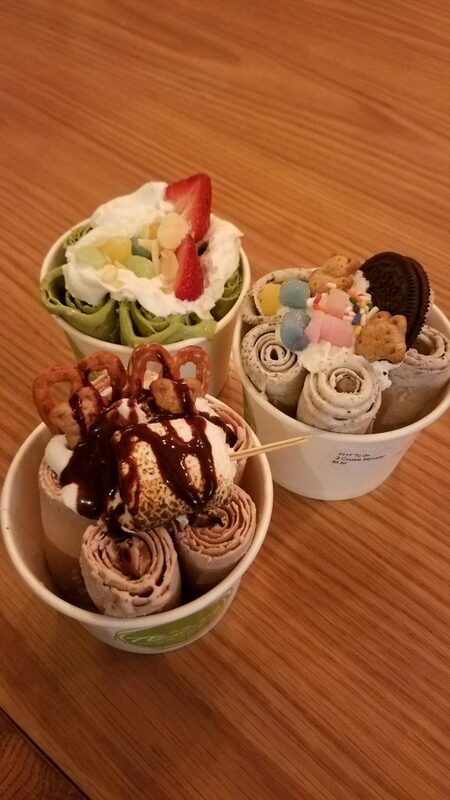 After the countdown was finished, we went to buy rolled ice-cream and bubble tea. Weekends always fly by quickly, but I’m thankful for the fun I pack into them. On the internship side of my week, I’ve been slowly growing comfortable in the operating room (OR) both circulating and scrubbing in on cases. There are so many nuances and multitasking skills needed in the OR that can only be gained from experience in the OR. I’m so incredibly thankful for the nurses and surgical technicians who have been patient enough to take the time to teach me how to open surgical instruments, teach me the names of instruments, and the specifics of how to scrub and circulate. I’ve learned so much about surgical services and I continue to analyze my weaknesses and grow from my mistakes. I appreciate how the nurses are able to point out my mistakes and forgive them even more easily. I’ve always been a believer that learning from your mistakes is the best way to grow. 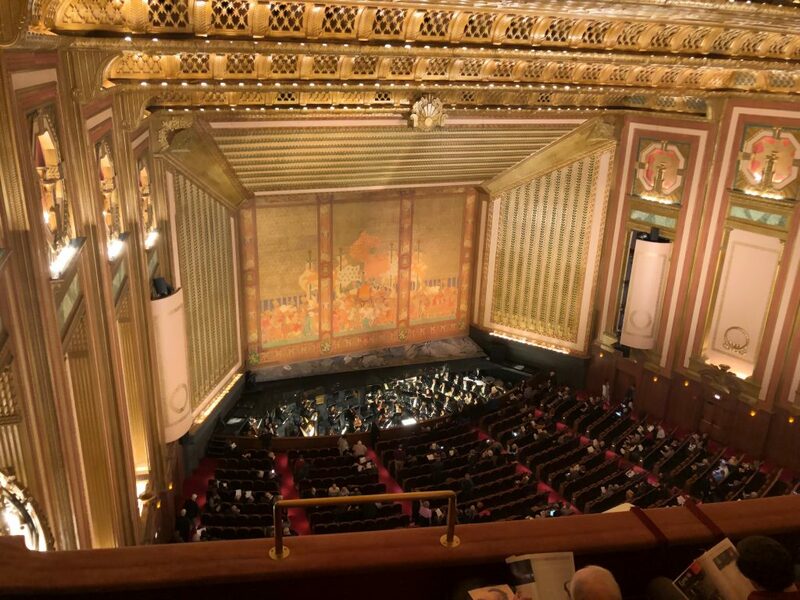 One of the fanciest events that I’ve attended thus far is the opera, Elektra! It was so fun this past Friday to dress up in fancy attire and listen to really talented people paint a beautiful ancient story with their voices. It captured the rawness of humanity and vulnerability in its true form. Overall, I’m still finding myself in each part of the city and simply enjoying the ride. 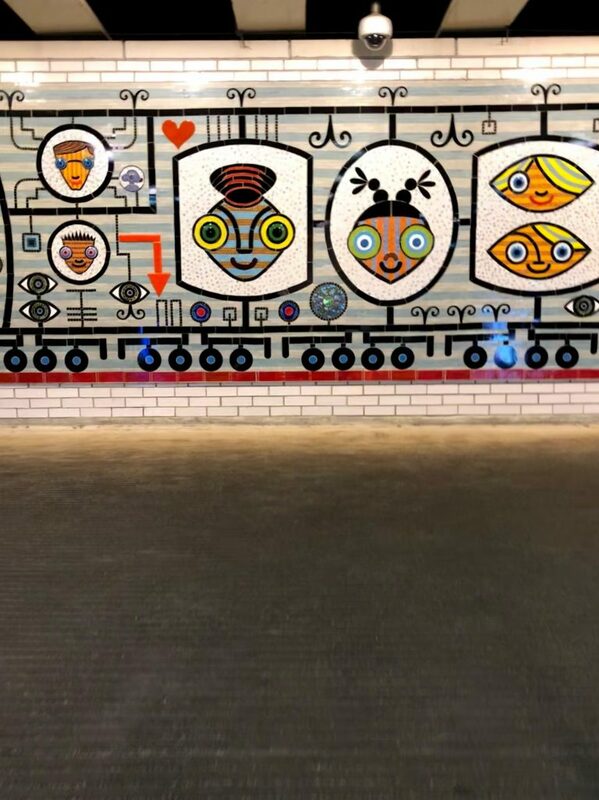 Bonus material: here are some cool murals I’ve found around the city. Ta-ta for now! Just this week I finished my first six weeks of my semester in France and can I just say, wow. I know study abroad is an incredible experience to get out and see the world, but my classes have put the study in study abroad. This week we will be talking about the French education system, particularly the university system of which I am the most familiar. For my program with CIEE, I am required to complete two six-week intensive grammar classes and three other classes taught in French, one of which has to be done at a local university. Since I am now six weeks in, I have just completed the first grammar class and also a French philosophy class. Being intensives, these classes meet frequently and for long periods of time. As an example, for my grammar class we meet Monday through Thursday for two and a half hours each day, ending with a grand total of sixty class hours over the span of six weeks. This class is entitled Writing Workshop and it is essentially designed to help us succeed in our classes at French university. I actually really enjoyed it because this class is taught by probably one of my favorite human-beings in existence, Marie-Christine, who is a lifelong parisienne that probably stands no taller than five feet and is well into her sixties. If caffeine could take a human form then it would definitely be MC, she has so much energy which is exactly what you need at nine a.m. on a Monday morning. Everyday after MC marches in and shouts a joyful “BONJOUR” to us, my class starts with a warm up called “quoi de neuf” which means “what’s new?” This is the time where my classmates and I can tell stories about our experiences in Paris and give each other recommendations on places to visit, gossip about our host families, and really just talk about anything so long as it is in French. I consider this my favorite part of class because I can recount a story about something incredibly mundane and normal but Marie-Christine will listen intently and after I’ve finished she will shout some exclamatory like “GENIAL” (great) or “FORMIDABLE” (wonderful). Honestly, this woman provides the kind of encouragement I need. After our daily quoi de neuf, Marie-Christine moves on to teach important grammar points that will be important for refining our language, but her first mission was to teach the class how to do an exposé. You may be asking yourself: what is an exposé? Well let me tell you, it can be really fun and it can also be really not fun, but we’ll get to that later. An exposé is essentially a twenty minute presentation, usually done in pairs, about a subject presented to you in the form of a research question, not really anything new or exciting. However, the French way of presenting is quite different. Here’s how I would explain it: Americans say what their subject is and make a claim about it, then they present information supporting their claim and refute counterarguments, ultimately ending with a brief summary of the argument and how it can be applied to different real-life situations. The French explain the context of their subject, state their research question, state their research question in different words, explain the order of what they will do, talk about their research, restate what they have talked about, and lastly state their argument. While my class was learning about this incredibly foreign and slightly nonsensical way of presenting, we were all completely blown away by how counterintuitive the entire process was from what we had been taught in the American system and it took us a while to fully understand the concept. 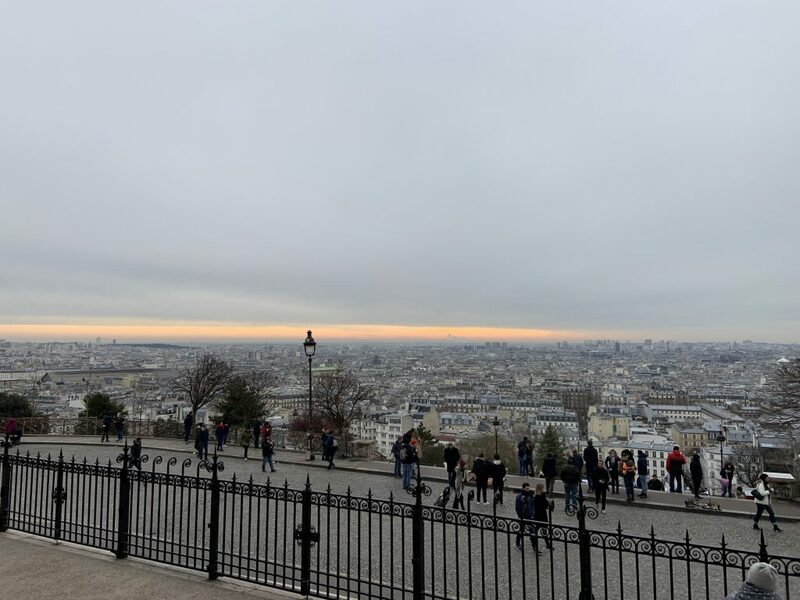 After we learned how to do an exposé, we were tasked with actually carrying one out on different subjects and people in the quarter of Paris called Montmartre. Since the concept was so strange to us, this first round of exposés was slightly awkward because we had never done them before. After that first round where we all presented our exposés for our class and the beloved Marie-Christine, we started a second round of exposés that went much smoother than the first on the subject of Montparnasse, another famous quarter in Paris. When we aren’t working on our exposés in writing workshop we are learning grammar, and not normal grammar; this is upper level stuff that has definitely had my brain doing gymnastics. While it has been hard to learn and difficult to grasp certain concepts, I definitely feel like I’ve already learned so much and my French is much more fluid than it was six weeks ago. One final piece of this class that I have yet to mention are our group outings. My class has done extensive research on two important quarters in Paris: Montmartre and Montparnasse. These two neighborhoods have been host to some of the greatest French and foreign artists to live in Paris. 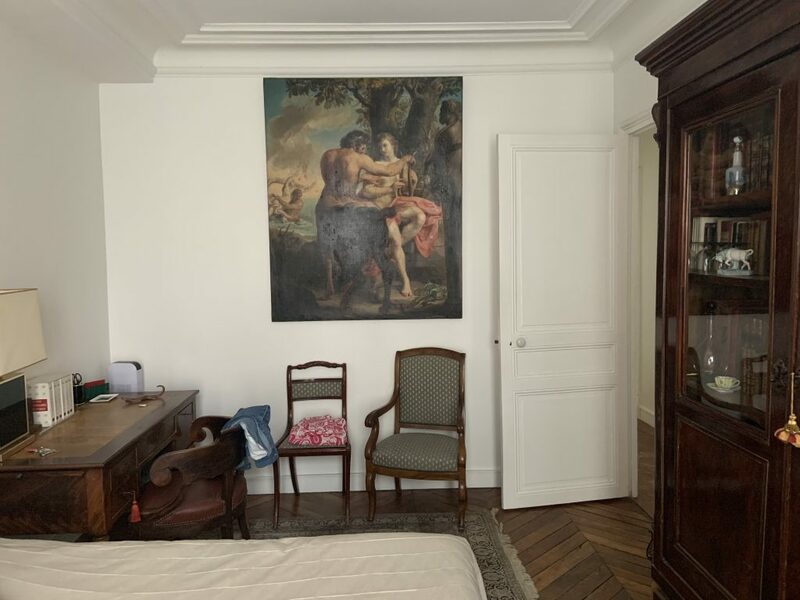 Characters such as Pablo Picasso, Sartre, Gertrude Stein, Saint Denis, Josephine Baker, Kiki de Montparnasse, are all people we have studied and after all of that research Marie Christine took us out on little field trips to explore the areas. It was on one of these tours that I got to see Bateau-Lavoir, the workshop of famous creatives linked to Pablo Picasso, Cimetière de Montparnasse where Jean-Paul Sartre and Man Ray are buried, and Sacre Coeur at the top of Montmartre. La Coupole, one of the most famous cafés in MontparnasseThe other requirement of my program is to take at least one class at a local university. For this, I was given the option between two schools within the University of Paris system, Sorbonne Nouvelle which is well known for its classes in cinema and literature, or Paris Diderot which is a largely humanities based school with broader options for classes. Not quite knowing what kinds of classes I wanted to take, I chose Diderot since it gave me greater variety. At Diderot I chose to take two classes, a history class about South Asia with a particular concentration on colonial India, and a sociology course about migration and globalization. These are both semester long courses taught in French (obviously) for French students. The one really great thing about these classes is that they aren’t intensive like my classes at CIEE so instead of meeting every day we only meet once a week for three hours. The professor is never on time. Both of my professors show up to class usually two or three minutes after the scheduled start time and don’t rush to start class even though they are late. Consequently, they don’t end on time either. This is especially unpleasant because three hours is long enough for a class, my attention span cannot be extended much longer than that so an extra fifteen minutes is not exactly my cup of tea. We have breaks. This is one of the differences that I actually like about French university. Because classes are three hours long (and sometimes even longer), the professors usually give us a 5-10 minute break around the middle to get up and move around so we don’t fall asleep. Grading system. The French university (and every other level of French education) is established not on a 100 point scale but a 20 point scale. This is something I’m still getting used to because when I get a paper back with a 14 out of 20 I freak out thinking I got a 70% on that assignment. The funny thing is that a 14 is actually considered a really good grade…let me explain. According to the university scale scores from 15-20 are an A, 14 is A-, 13 B+, 12 B, 11 B-, 10 C, and so on. From what I’ve been told, a 10 is the cutoff for passing or not so if a French student gets a 10 or higher, they’re really happy. Marie-Christine has told me that not many students even get a 15 and if you do then you’ve done really, really well. That being said, I’m still adjusting to this scale because I prefer the American 100-point scale since there isn’t such a steep drop-off between an A and failing. French students don’t know how to speak in public. Okay that’s only partially true, but hear me out. From my experience, I have never had a problem understanding a French professor because they all speak clearly and use good diction. Occasionally professors will start to speak a bit too fast and their words will run together but that hasn’t happened very frequently. The students, on the other hand, don’t speak like that at all. When they ask questions or speak in class they don’t raise their voices, speak clearly, or have any kind of gap between their words, yet somehow the professor manages to understand them perfectly! I noticed the same thing when they present their exposés. A lot of students will have scripts written out so they just read what they want to say and when they do that it’s even harder to understand because they read so fast and speak directly to their notes, not the class. Even if I try to read their lips or look at their powerpoints, I don’t really get a good sense of what’s going on. You get what you pay for. University is a lot less expensive in France than it is in the United States and it shows in the way that the university functions, particularly in the relationship between professor and student. 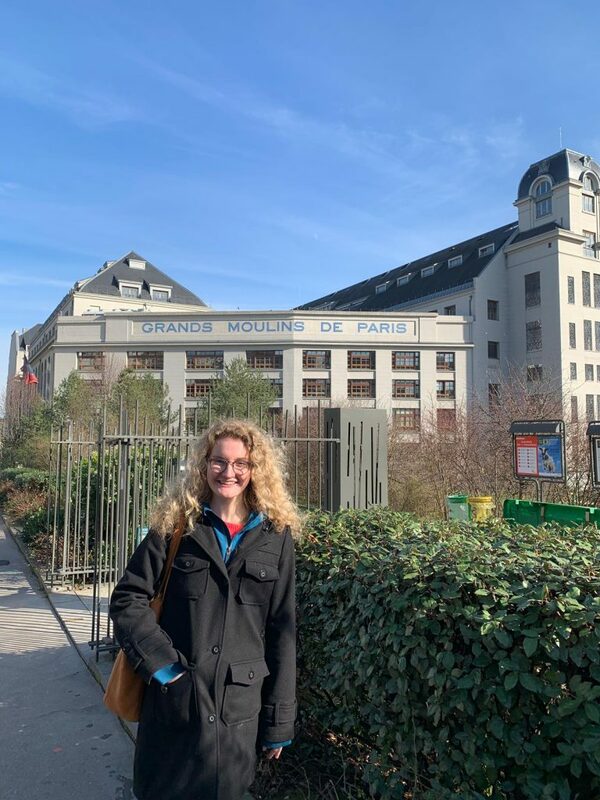 In the U.S. I’ve had so many professors who are incredibly invested in the success of their students, so when I got to France I was shocked to find that this wasn’t the case. This isn’t to say that I have bad professors because I think both of them are fantastic, however they need you to tell them where you’re at with class subjects and lectures in order for them to better accommodate to your needs. They don’t have office hours so it’s important that you talk to them right away before or after class. If that doesn’t work, then an email will have to suffice, however they tend to take a long time to reply, if they do reply. As an international student, I can’t expect my professors to read my mind so if something is wrong I have to speak up. One kind of funny example of this last point comes from my first day at French university. I was with a friend from my program and we had taken really good notes throughout the entire class, then the professor wanted to assign exposés before the class was over. Now my friend and I weren’t technically registered for the class and she and I had yet to do our exposés with Marie-Christine so we figured we would wait until we got officially enrolled in the class before we volunteered to do an exposé for it. Well wouldn’t you know, the professor assigned exposés to everyone in the class and then asked if there was anyone who hadn’t yet volunteered. It was clear at this point that it was down to just a select few people who hadn’t, my friend and I included. So I raised my hand and asked if I could speak to the professor after class. It all went downhill from there. Instead of saying that she’d talk to me, she assigned my friend and I the very first exposé to be presented in a week. It took a second for the information to sink in and then suddenly class was over and everyone was gone. I went up to the professor and explained to her that I was an international student and that I wasn’t yet registered for her class and could I please not do the exposé next week? She enrolled me in her class right there and told me she anticipated my presentation. I was in a bad way after that. I called my mom and talked her through the situation and she did her best to encourage me. My friend and I worked tirelessly all week and consulted Marie-Christine on how to do it, by the time the next class came around we were nervous. The professor invited us up to present and just as I got out of my seat I knocked my Hydroflask (those huge metal water bottles you see all over campus at Hope) off my desk onto the tile floor and let me just say it was not quiet. I was mortified! I quickly pulled myself together and we got up to do our presentation. It was a little weird considering we were two foreign students presenting in a language and format that made sense to everyone else in the room but us, but we did it! We finished and I swear I left that class feeling two inches taller! So this story doesn’t really have much of a moral, but if I could do it again, knowing what I know now, I would have had a longer conversation with my professor and told her my situation: I’m not only an international student who doesn’t speak French as a first language, but also I’ve never done a presentation in the French format before. If I would have done that I’m not sure what the result would have been, but at least the professor would have been more aware of my situation so that maybe she would have given us more guidance and let us learn from other students before we had to present ourselves. In sum, school here is difficult. It’s difficult to summarize my entire six weeks of schooling in just a few pages of writing, but while it has been a challenge, I also know that I’m growing immensely. Just yesterday I went to an extra-curricular lecture and started talking to a professor in French, he thought I was in France for my masters degree and was shocked to find out that I was just here for a semester after only having visited the country once before. It’s moments like this that remind me that despite this program’s difficulty, I am making progress. Students who go abroad with hopes to see many countries and travel as much as they possibly can often study in Europe where traveling is cheap. Of course, where one chooses to study ultimately should be a reflection of their interests and academic goals, but if we are being honest, everyone who goes abroad is hoping to see, learn, and experience new parts of the world. Let me be an advocate for what the underrated country of Ecuador has to offer. Where do you go and what do you do? Well, I am glad you asked! A better question would be, what do you want to do? There is a coast and islands of gorgeous beaches to simply relax and enjoy the sunshine and incredible sea food, or adventures of surfing, snorkeling, and experiencing ocean wildlife. In the mountains there are many hiking, biking, and bus excursions to see the mountains and volcanos that make up breathtaking landscapes. The amazon has its own adventures with distinct wildlife, indigenous communities to learn from, and adventures of hiking, river rafting, and spelunking. 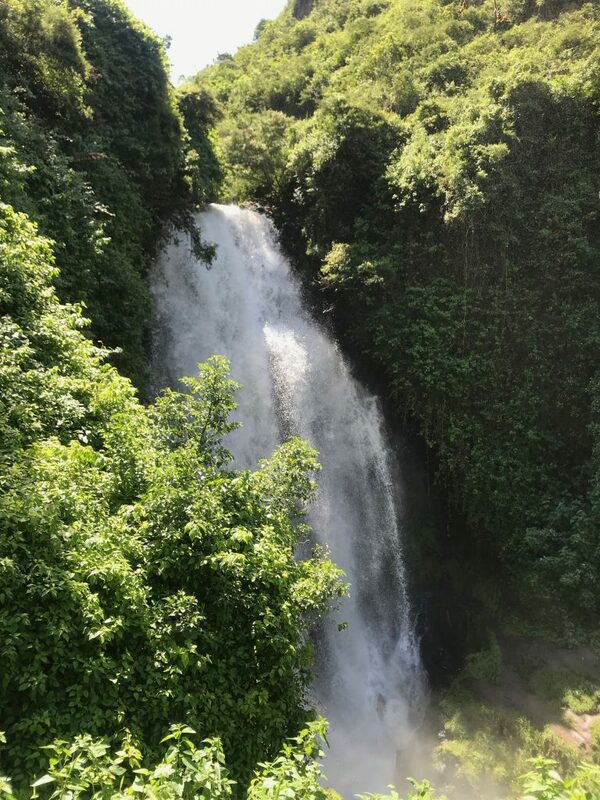 Don’t let me forget all the lagoons in the craters of volcanoes, canyoning, waterfalls, and archeological sites! 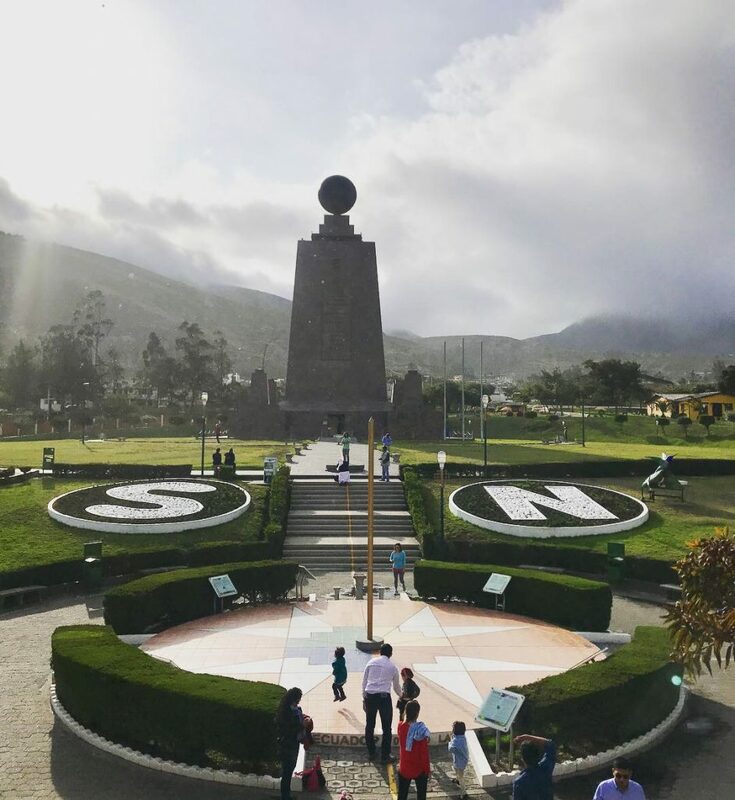 In the big well-known cities of the country such as Quito, Cuenca, and Guayaquil, there is well-preserved and rich historical centers with museums, cathedrals, and architecture. There are the cute coffee shops, chocolate tours, and great eats that will give you meals to fill your belly for just $3! 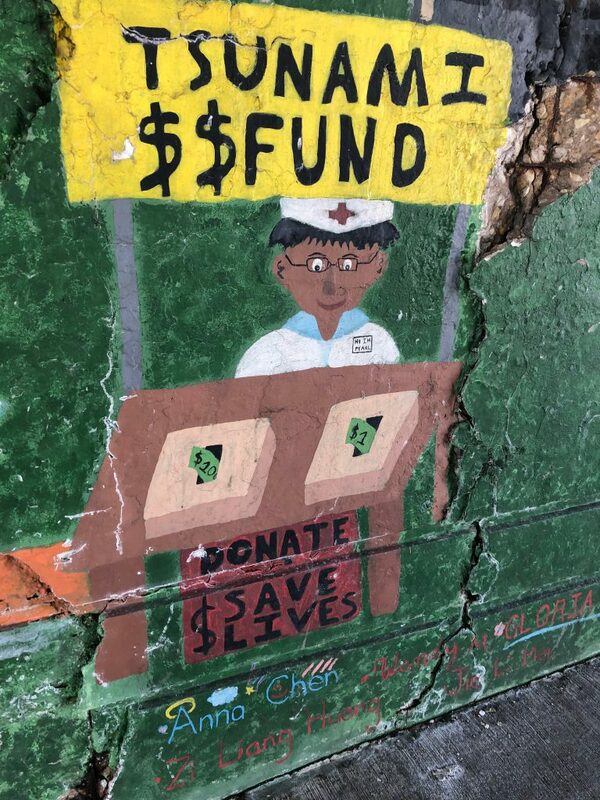 As we all know, there are pros and cons to everything and one of the cons to being in South America is that flights/ travel to other countries is expensive. Being in Ecuador however, there is really everything in one small country that outside travel isn’t really necessary, (however fun, of course, if you are willing to bite the bullet of the cost of a flight). 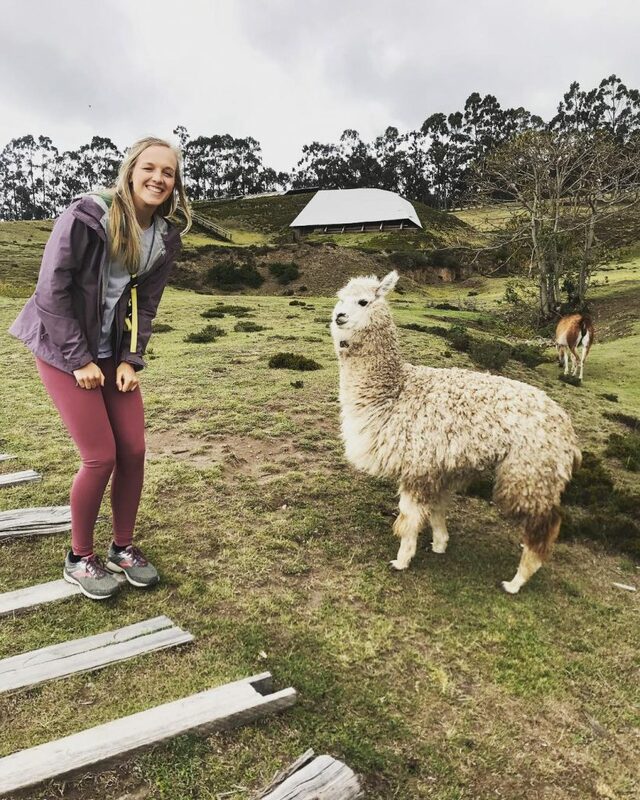 My WHY to Ecuador: Since my college search endeavor began, I was interested in the opportunity to study abroad because of my interest in Spanish (my WHY behind that interest also has a backstory for a later day). Taking advantage of my time in college to go abroad was/ is important for me to gain language fluency as my primary goal. Often, I think students forget the lifestyle and culture that impacts one’s experience when studying in another country. For me, I knew the options were Spain, or somewhere in Latin America and Spain was a no-go. Don’t get me wrong, Spain is a BEAUTIFUL country with a rich Spanish speaking culture, but I knew the European lifestyle wasn’t something I wanted to live in for an entire semester. 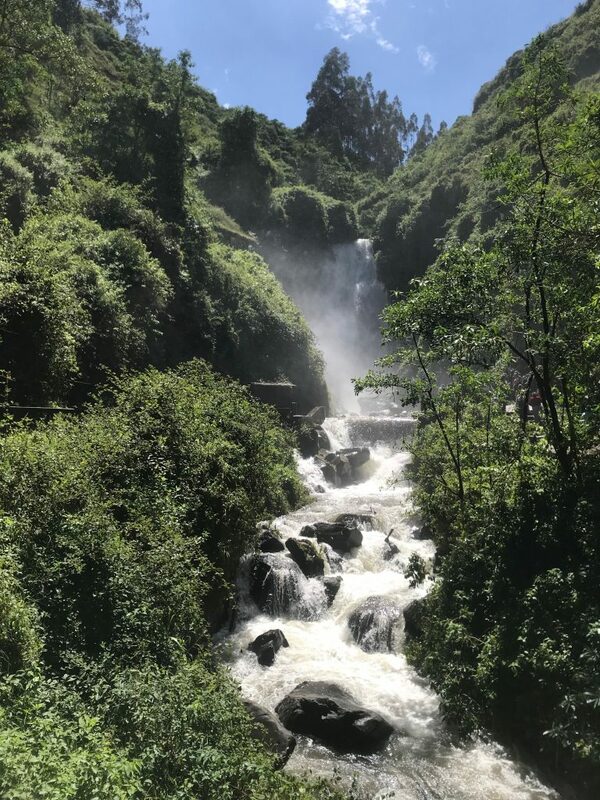 When I began searching programs in Latin America, I was primarily drawn to the more globally well-known countries of Argentina, Peru, and Chile. 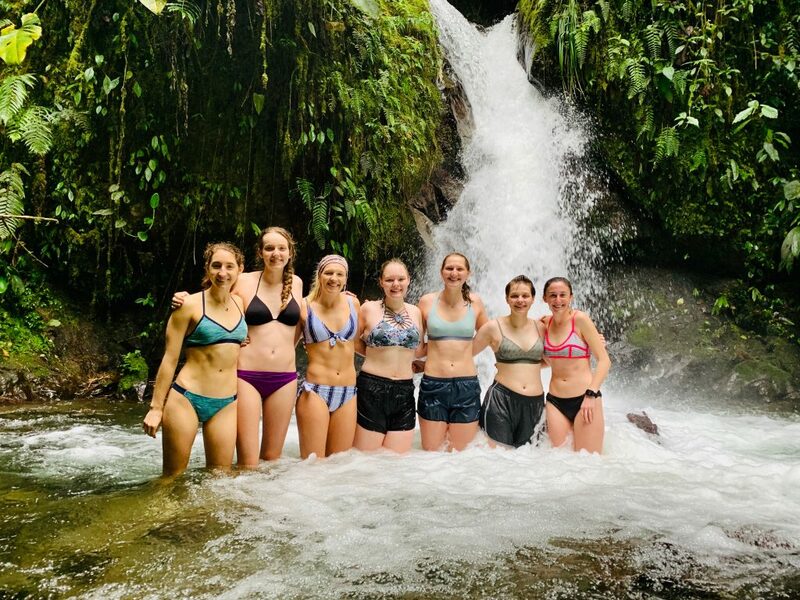 The further I researched and the more I talked with other students who had gone abroad, I stumbled upon the program in Ecuador and was intrigued by their Spanish primarily. Ecuador is different than most Spanish speaking countries in that Ecuadorians typically speak slower and without a strong/ distinct accent. This made me excited because learning a language is hard enough, and picking up a distinct accent on top of that would be exhausting. 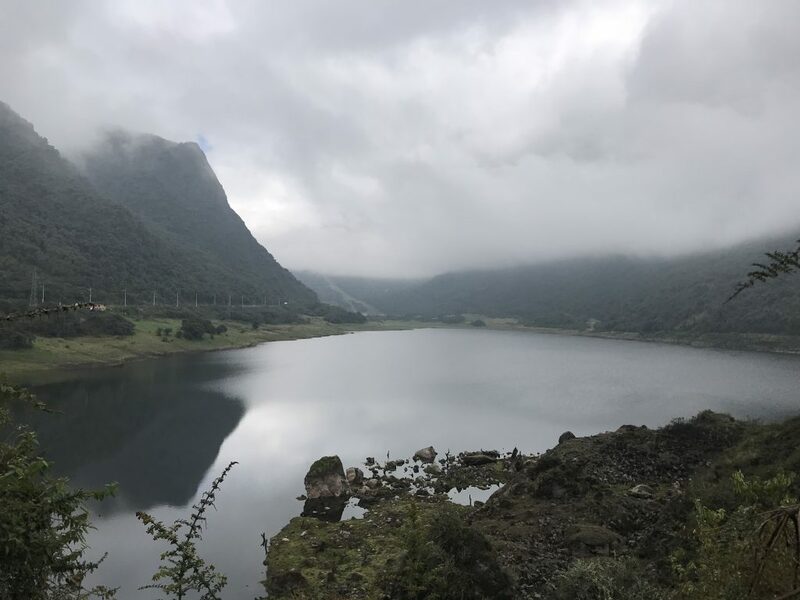 I was drawn to Ecuador primarily in search of an effective way to achieve my academic goals through the Universidad San Francisco de Quito, and the benefits of cheap travel became another benefit later. Now that I am here, I would say I have been a Student Tourist. I am obviously still here primarily for academic purposes, but believe me, I have been taking advantage of weekend trips since Week 1! 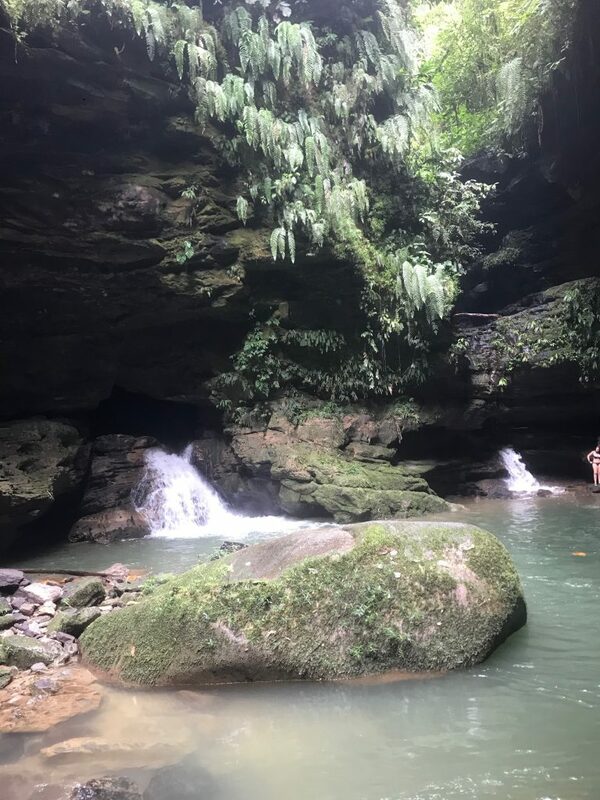 Believe it or not, I have traveled so much already that I am burnt out and ready to take a break, but my bucket list says there is still much to see this semester. Hablando de mis primeras impresiones de España, yo estaba enamorada de la cultura, la gente, y el estilo de vida. El primer día sentí una especie de sobrecogimiento cuando finalmente llegué a Valencia. Durante el verano, especialmente en la costa, España es maravillosa. Puede ver las montañas y las palmeras de cualquier sitio. La playa no está tan lejos del centro. Había fiesta del jueves al domingo. Siempre la comida es fresca y se acompaña con un vino tinto o una copa de cerveza con limón. A partir de la segunda semana, la gente española me mostró que “se vive” en España. Es una locura que todo eso hace 4 meses y estoy en España de nuevo. ¿Sabes que? No me siento como hace 4 meses. Desde el momento que ha aterrizado el avión, me siento como hace 2 semanas que estuve en este país. ¿Se lo cree? Pues, yo tampoco. Esperaba que hubiera tenido un choque cultural. Cuando conocí a las personas de mi programa, enseguida, comenzé a hablar en español con ellos. Estaba llena de emoción y quería comenzar la experiencia con confianza en mí misma. Si quiere mejorar un aspecto de vida, hay que tener confianza en sí mismo. Esto es clave en un ambiente distinto. Sin embargo, el tener confianza en sí mismo no significa no necesitar la ayuda de otros. También esto es clave. Solo he estado en España durante una semana. Todavía estoy enamorada con el país, especialmente la ciudad de Madrid. Si quieres saber mas de mi experiencia durante el verano, eche un vistazo a mi blog en tumblr (enlace). Tambien, estaré cargando unos videos bisemanales, más o menos. Abajo tengo la primera semana ya. Espero que disfrute los blogs y videos. ¡Hasta pronto! My first impressions of Spain were those of a love affair. I was in love with the culture, the people, and the way of life. The first day I was in awe when I finally arrived in Valencia. Over the summer, especially on the coast, Spain is magnificently beautiful. You can see the mountains and palm trees from anywhere. The beach isn’t too far from the city. There were fiestas from Thursday to Sunday. The food is always fresh and they eat it with a glass of red wine or a beer mixed with lemon juice. From the second week on, Spanish people showed me that “one lives” life in Spain. It’s crazy to think this was all 4 months ago and now I’m back again. You know what? I didn’t feel like it had been 4 months ago. From the moment the plane landed, I felt like it had only been 2 weeks ago that I was in Spain. Can you believe it? Me either. I was expecting to feel a culture shock. When I met people in my program, I immediately began speaking in Spanish. I was filled with excitement and I wanted to start off on the right foot with confidence. If you want to improve an aspect of your life, you have to have confidence in yourself. This is key in a new environment. However, this doesn’t mean that you don’t need the help of others. This is also really important. I’ve only been in Madrid for a week. I’m still in love with the country, especially the city of Madrid. If you want to know more about my experience over the summer, check out my blog on tumblr. Also, I’ll try to upload videos every two weeks or so. Below is a video from the first week. I hope that you enjoy my blogs and videos! See y’all soon! 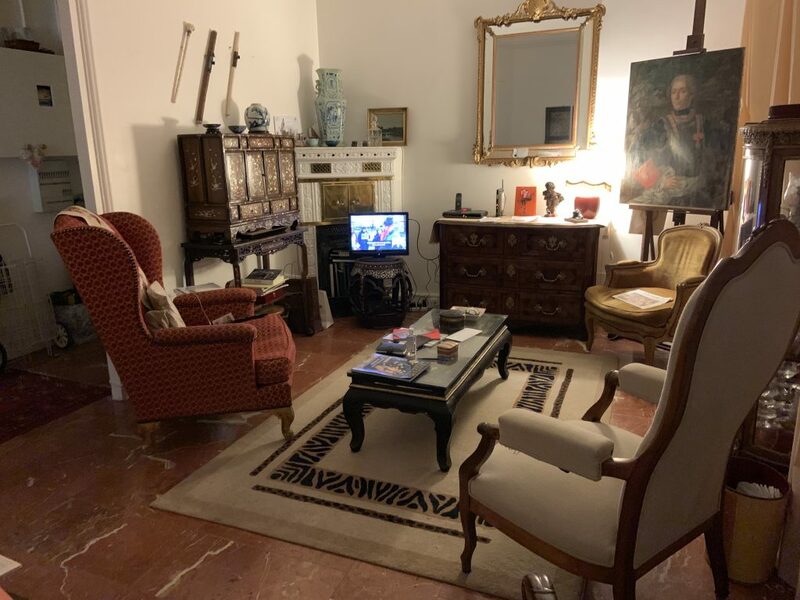 Posted on February 11, 2019 February 6, 2019 Author Cherish JoeCategories Culture, Daily Life, TravelTags Europe/SpainLeave a comment on Ya estoy en España! Hello, world! I am back at it and this time not suffering from the negative effects of jet lag! I have now been in Paris for almost a month so I feel that I’m much more able to start posting about happenings and life in general in Paris now that I’m better acquainted with the city. This week we are talking about: the French home. 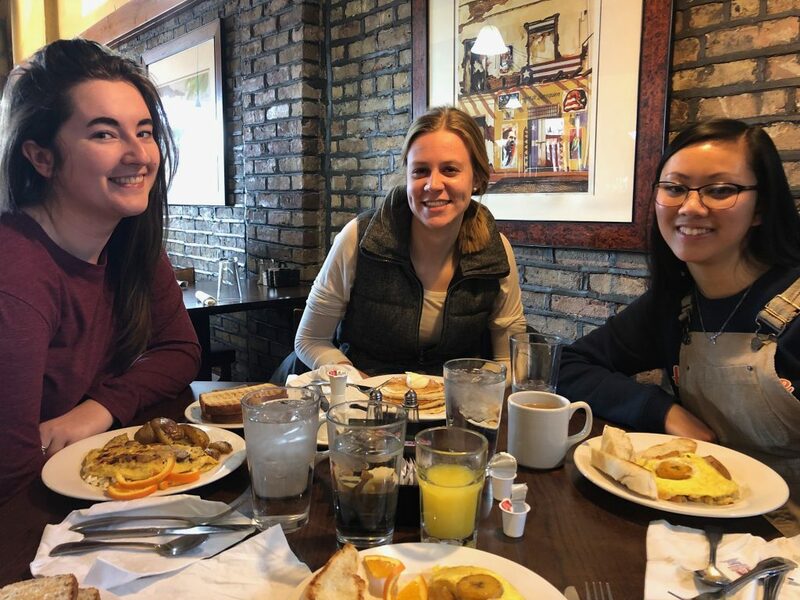 My study abroad program, French and Critical Studies with CIEE, is a language intensive program which means that everything that we do associated with CIEE is in French. What that means is that the program forces us to be fully immersed in the language ALL .THE. TIME. CIEE in Paris has two options for housing: student apartments or a homestay with a French family. The students in FCS, however, don’t have a choice; we are required to live in a home stay in order to keep us exposed to the French language. That being said, for the past month I have been living with my host mother, Katherine (pronounced Kat-rine with a nice French rgh) who, as I mentioned in the previous post, doesn’t speak a word of English. When I first learned this, I was terrified that she and I would struggle to relate with one another; I feared that I wouldn’t be able to express myself. However, we are nearly a month into living, speaking, and dining with each other every single day and I can confidently say that my fears were completely unfounded. You see, Katherine loves, and I mean LOVES to talk. She sits with me at breakfast every morning and listens to the radio, but as soon as she hears something that sparks her interest the radio is forgotten and she is speaking, with a relatively high level of knowledge about the subject and flowing right on into the next one. This was especially great for me the first few days into living with her because there really wasn’t a need for me to talk and I could get used to the pace of speech from an actual French speaker. These days I’m much better able to interject with my own opinions on the subject and she and I can have more and more conversations which I think both she and I really appreciate. As I’ve been able to communicate with Katherine, I’ve learned a lot more about her and her life. She is in her 70s with three grown daughters, two of whom live nearby and frequent the apartment. She started her professional life as a secretary but somehow got connected with someone in the art restoration business which led to her second and most favorite career as an art restorer. She told me that she’s worked on a team that has restored big pieces of art such a painted ceiling in the Louvre and another work in l’Assemblée Nationale. She still does some smaller pieces and I occasionally come home to the smell of some of her chemicals that she uses on the paintings. Speaking of home, for Katherine and me home is a two bedroom apartment in the northwestern suburb of Paris called Neuilly-Sur-Seine. 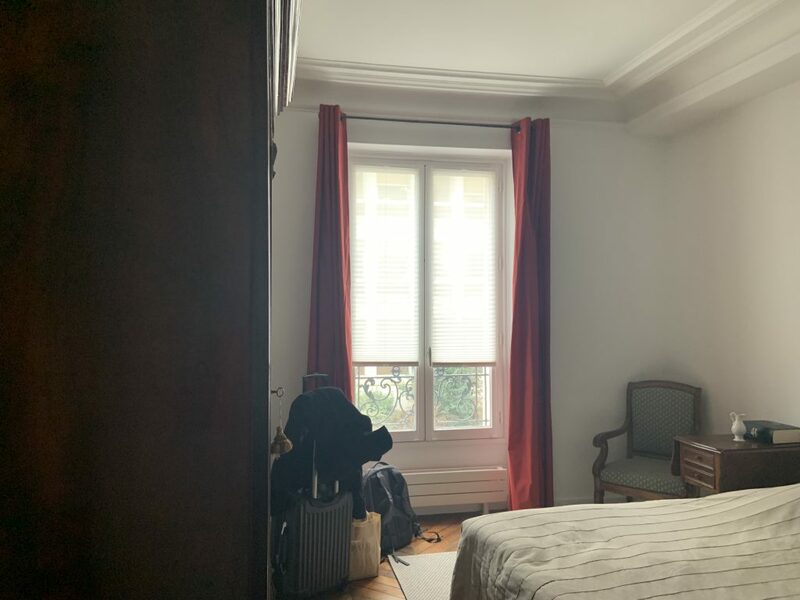 There I have my own room with a big window that looks out over our ally with those cute white Parisian window shutters. I also just have to mention: in the bathroom we have a heating rack for our towels! 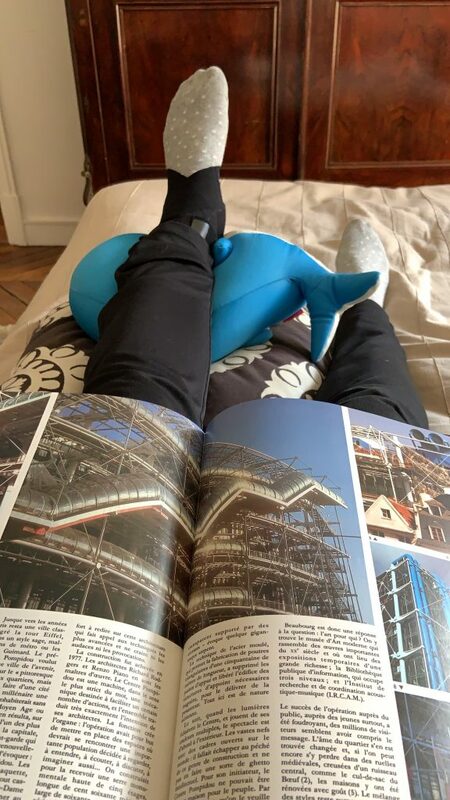 It’s pretty standard for French homes but I just find it amusing and also incredibly amazing when I get to wrap myself in a warm towel — it’s just great. 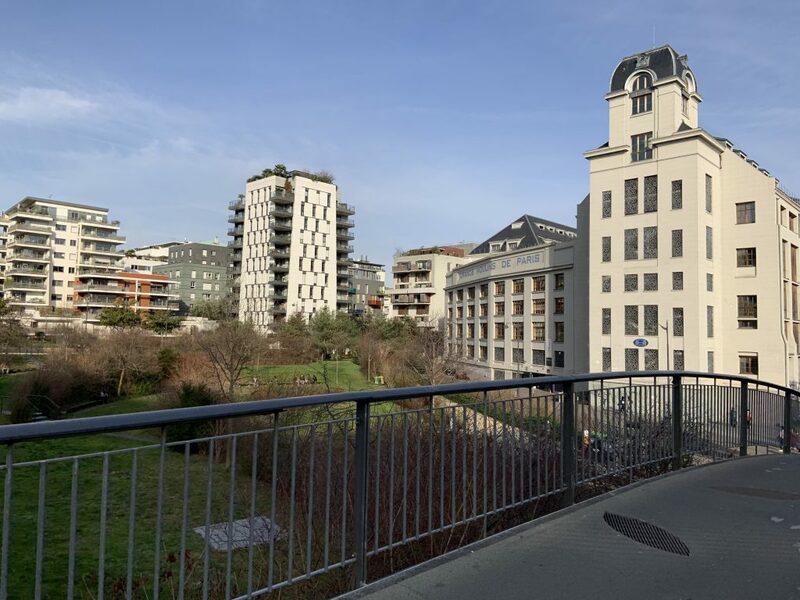 A little bit about Neuilly: it’s smack dab in between l’Arc de Triomphe (that fancy Roman-looking arch that Napoleon built way back when) and La Defense which is just a gigantic hollow cube in the more business-y part of Paris. Neuilly, as I’m told, is rather chic, although I can’t say that stops people from letting their dogs “relieve” themselves on the sidewalks and not clean up after them. Yeah, watch your step. Other than that, I’ve found that our apartment in Neuilly is actually in quite an ideal location. It takes me about four minutes to walk to the metro which will then take me straight into the city which can connect me to ten of the fourteen lines in the city. I am also just a ten minute walk away from the Bois de Boulogne which is to Paris what Central Park is to New York. Saturdays are especially hectic with runners and walkers everywhere, not to mention tons of adorable dogs out playing in the fields. Another essential part of my French home life is the food. Katherine is an amazing cook. She can turn anything into a delicious and nutritious meal. I remember my first night with her I was a little apprehensive when she put my first meal in front of me: cabbage wrapped in ham and covered in cheese. As far as looks went, I was strongly questioning whether what I was about to put into my body would even be worth it, but I was starving so I dug in and it was incredible! Also, leftover night at our place is not to be dreaded because she just whips something completely new together from the ingredients she used previously. I’m serious — carrot and mushroom in a creamy sauce over angel hair pasta…who would have thought?! At times Paris can feel slightly exhausting and incredibly lonely; it’s hard to live in a place that you’re unfamiliar with around people who don’t know you or even speak your language. In a city where it is so easy to be anonymous sometimes you just want a taste of home. I’m sure every student who has studied in a foreign country understands exactly what I mean, but I have to remind myself how lucky I am to have this opportunity. When I get these kinds of feelings I’ve found that it’s best to talk to friends and family; they really are just a phone call away! Also, if you can find it, eat some of your favorite food. If you can’t find that, listen to some of your favorite songs or do the same activities you would at home. 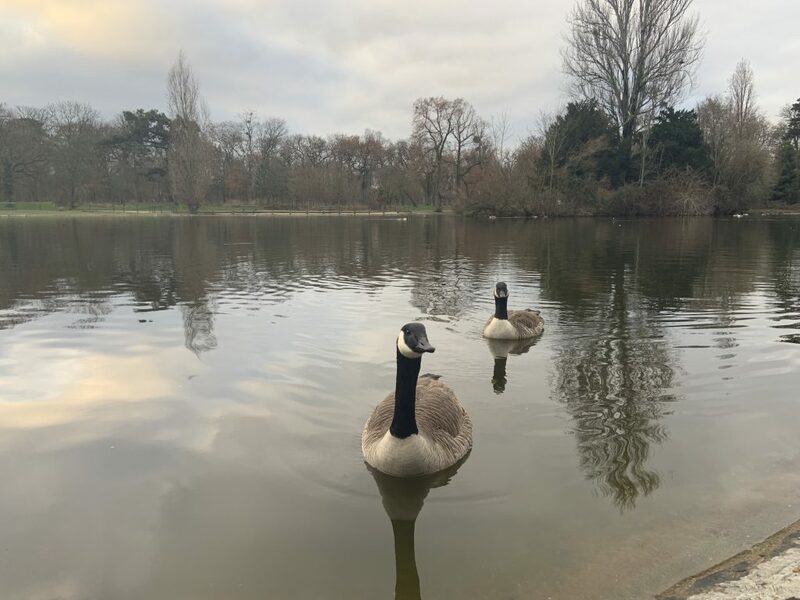 For me, I’ve found that going for a run helps me immensely because running has always been a very cathartic activity and it’s something that I’ve done first at home, then at school when I moved away from home, and now I can do it here! No, things will not be exactly the same as they are at home but that’s precisely the purpose of study abroad: to gain a new perspective. Instead of being stuck on what I miss about my home in the U.S., I go out and explore to find new things that help me feel at home here.